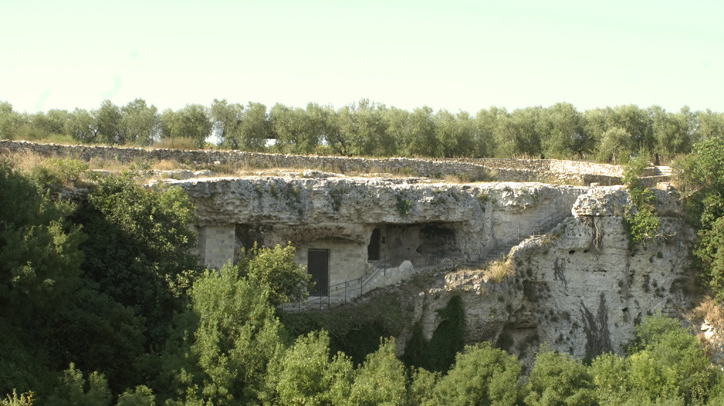 The Crypt of the Original Sin, in Matera, is located inside a natural cave on the Murgia plateau, near the old Appian Way. 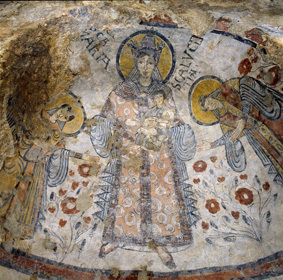 Commonly known as “the Sistine Chapel of rupestrian art”, the Crypt was discovered in 1963 by a group of local youths, who noticed the splendid frescoes in what at the time, had become a shelter for sheep herds.Experts later dated the cycle of paintings back to the second half of the 8th century, with Late-Romanesque style and formal elements of Oriental inspiration, such as the Byzantine-style Triarchsand the profile of the Virgin Mary, majestically represented in the sumptuous clothes of the Byzantine empress, the Basilissa.The anonymous, humble artist – who was soon nicknamed the “Flower Painter” – depicted biblical figures in total freedom: God the Creator, Light and Darkness, Adam and Eve, the three Apostles John, Peter and Andrew, the Archangels and Mary. 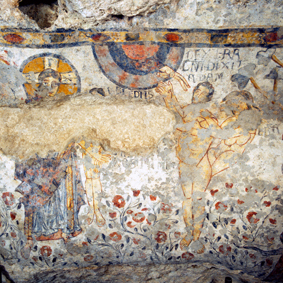 The paintings on the rough walls of the cave are different and unique in Matera’s iconographic context. The scenes are the fruit of the painter’s personal creativity and certainly speak of his freedom in translating complex depictions, and of a lively spontaneity in drawing images. You must be at the ticket office, located on a private vineyard outside town "Azienda Agricola Dragone", half an hour before you scheduled tour time. From there you can reach the Crypt on foot (700 metres) or by your car. 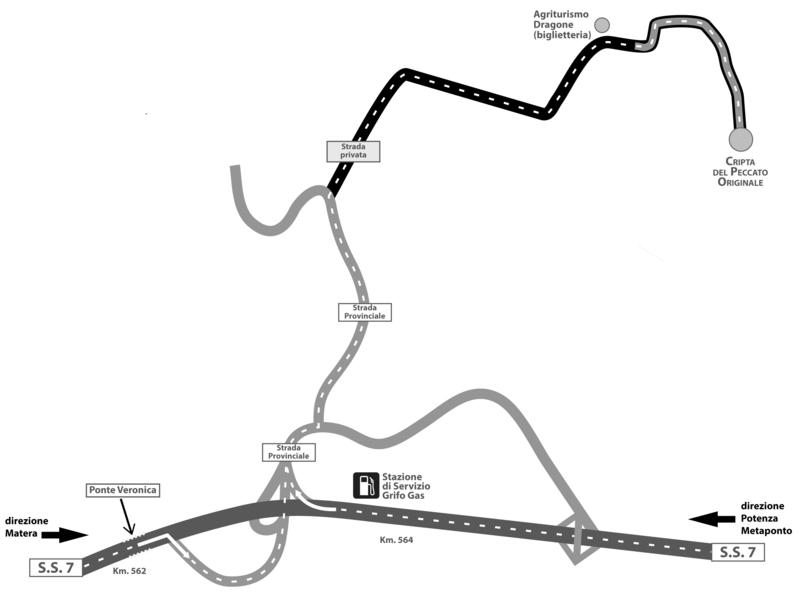 Take SS 7 direction Potenza-Metaponto; the exit is 200 metres after gas station “Grifo Gas” (SS7 - km 564) turn right and follow the signs for “Azienda Dragone”. 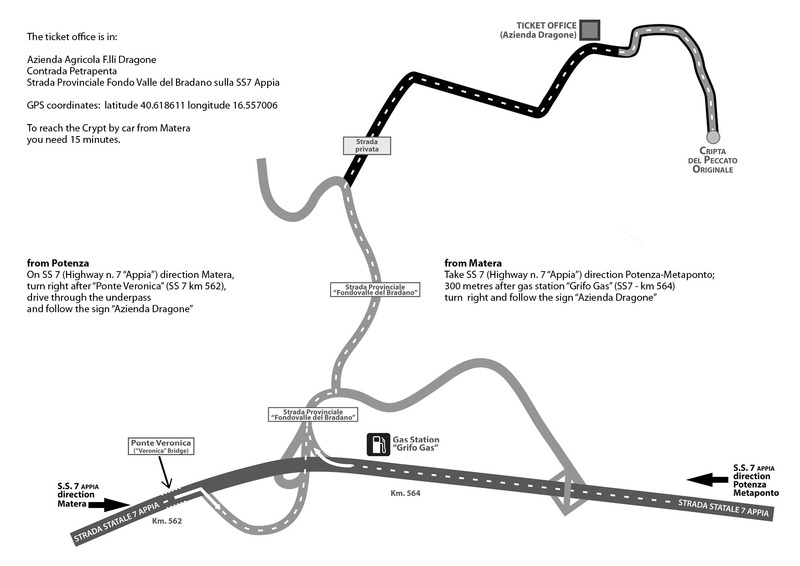 Take SS 7 direction Matera, the exit is after “Ponte Veronica”, (SS 7 km 562), turn right, take the underpass and follow the signs for “Azienda Dragone”. Free entries: children under 6, accredited journalists with permission from the Zétema Foundation, official Tour Guides. 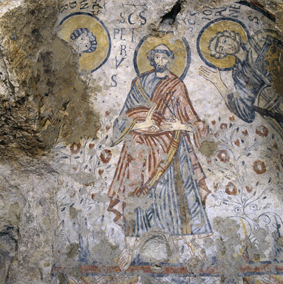 If you visit the Crypt you can get a discounted ticket (€ 3.50) at MUSMA and Casa di Ortega until the day established on your ticket. 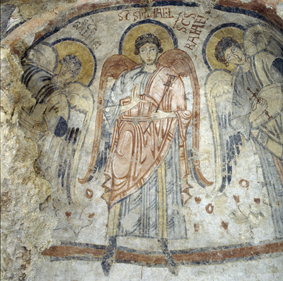 The Crypt is closed on December 25, January 1st and July 2sd.